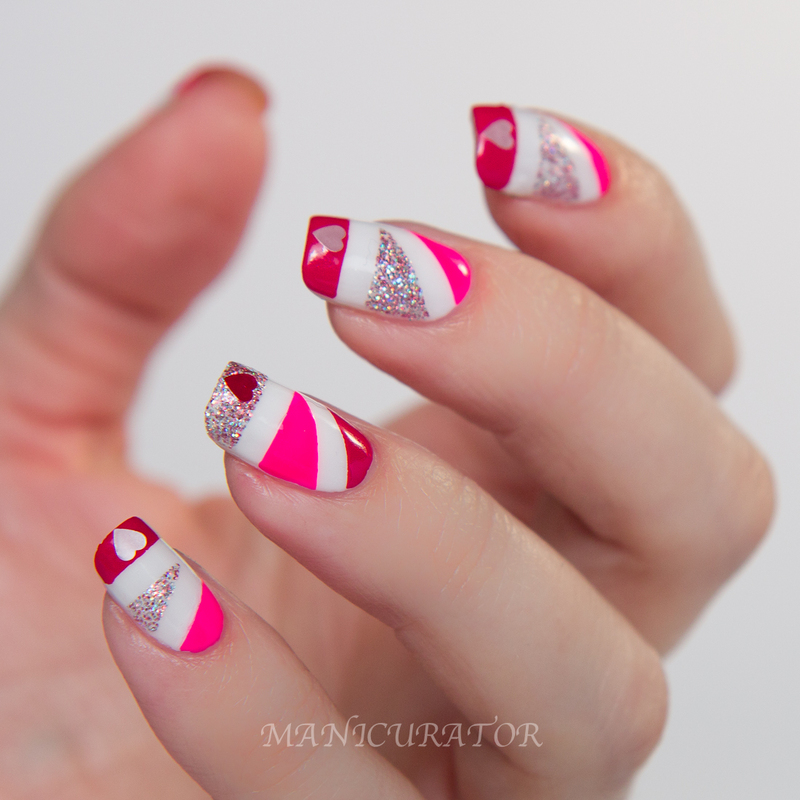 How excited was I when these gorgeous perfectly Valentine themed shades showed up from Color Club just in time to do my nails for Valentine's Day! The Love Tahiry collection has 7 shades created with Love & Hip Hop: New York star Tahiry Jose and is full of classic shades of love and romance. I have 5 of the 7 shades in today's look. Ah I love a neat and symmetrical design! This turned out so well, it was super fun to wear! Color Club On Cloud Nine has a white chocolate scent. I really love this one! In fact, probably my favorite of the collection. It's got a bit of a creme/jelly formula, with excellent formula. It layered well, 3 coats for full opacity. And it leaves you with a lovely chocolate scent on your nails! 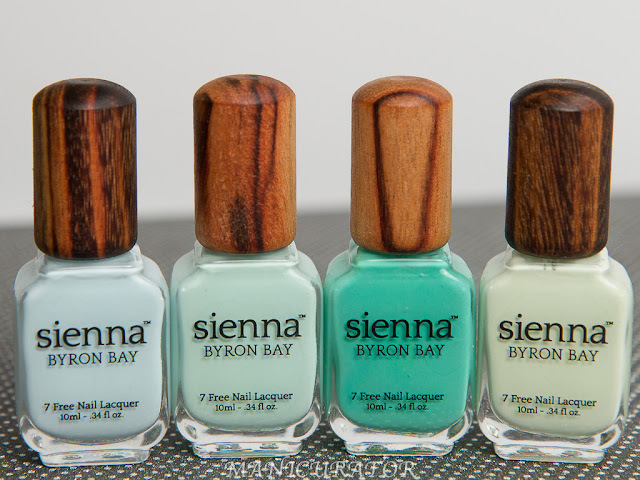 I'll be honest, I'm not a fan scented polishes..but this one totally one me over! The photos above and below are without top coat. 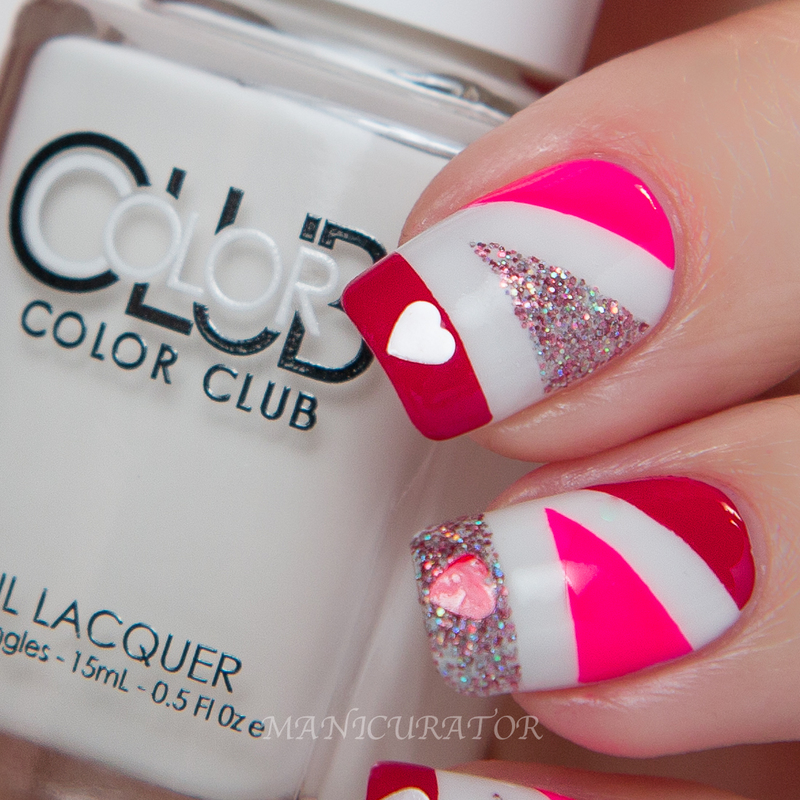 Color Club 50 Shades of Love has a candy scent. 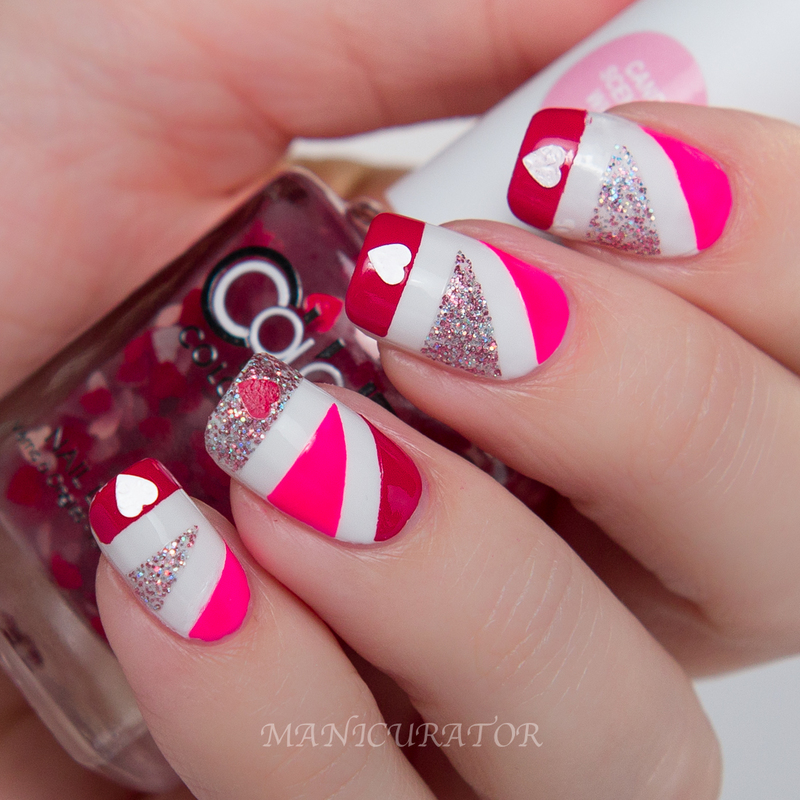 White and red hearts in a clear base. Love the idea of this, but I think the red pigment on the hearts has started to come off and is floating in the base with the hearts. You can't tell from how I used it, as I just picked up individual hearts to place them on the tips. *Just a reminder, if my index finger looks wonky or the polish doesn't look right it's because it's got a tea bag repair on it..holding fast for over 3 weeks!! Jitters has a bubbly scent. A multi colored holo glitter. Red-Handed has a cinnamon scent. A beautiful red creme. Sweet Getaway has a pink rose scent. 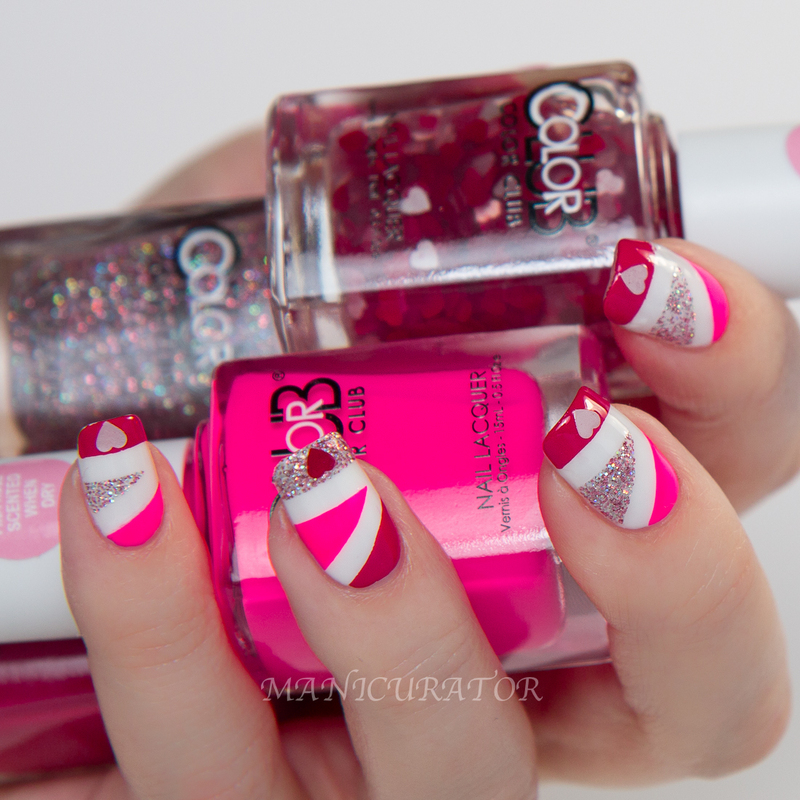 Neon pink creme. No issues with formula except what I noted about the red hearts. I super love how simple yet bold this looked! 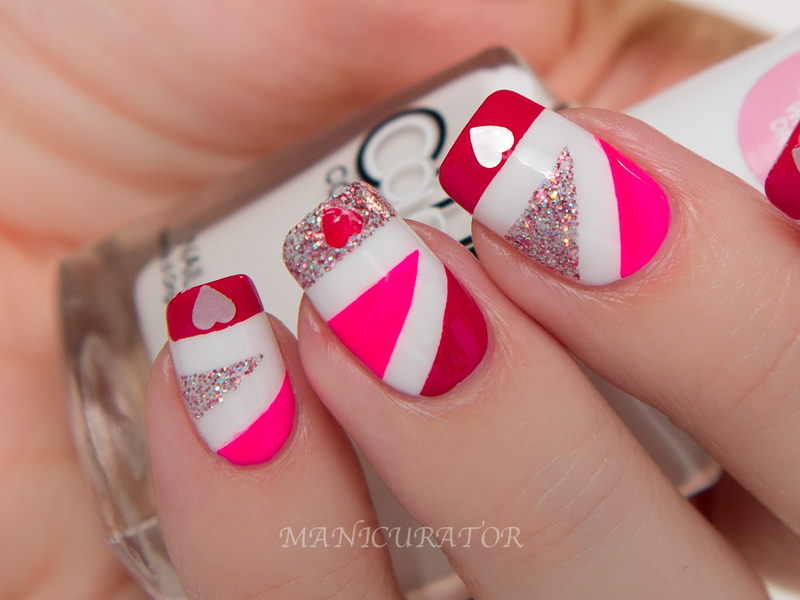 Did you wear Valentine theme nails this weekend? Darn you. You just cost me about $50!!! 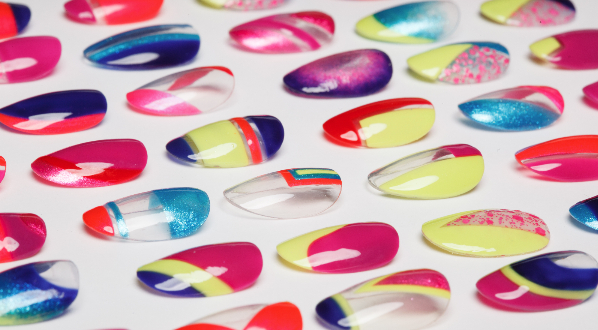 :P :P :P This nail art is freaking gorgeous and now I have to have all the polishes! It's so cool these have a scent! I love smelly things. I think you also channeled that well in your art. It looks delicious! 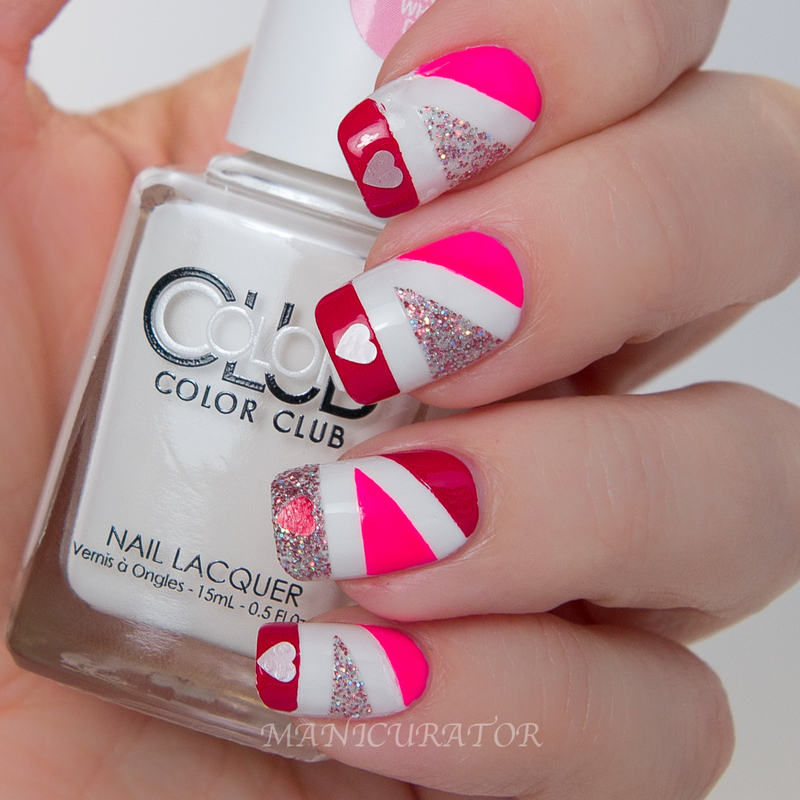 This is the cutest vday mani ever! I've never used a scented nail polish, but white chocolate sounds awesome! Wow, it's gorgeous! I love the contrast between those finishes: it's very attractive. I aspire to your clean lines!!!! LOVE the little hearts! Such a great look! Awww, so pretty and cute all in one! The colours are great, they all look perfect together! Cute! Jitters is sooo pretty! I don't know how I'd do with scented nail polish. I guess I'd have to try it! What a gorgeous manicure. Thanks for sharing and inspiring us all.